Self Cure Remedy details of Apply potatoes for the care and relief of Sunburn, including effectiveness and popularity scores of the remedy. Potato contains potassium, sulphur, phosphorus and chlorine. The starch contents also soothe the burn. Grate some potatoes and apply them on the burnt skin. 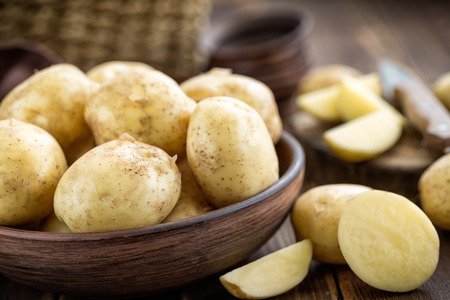 The self cure remedy of Apply potatoes for the care and relief of Sunburn has an effectiveness score of 3.1 and a popularity score of 85 on the self-cure system.